We certainly had a good day today but we did not get the weather we thought we would get. For most of the morning it was cool and cloudy with a lowish cloudbase. 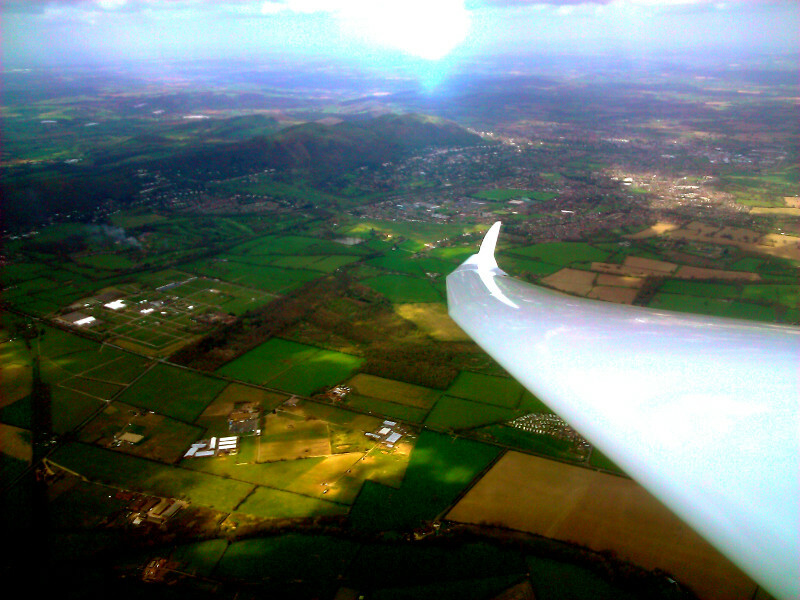 The first flight was at 10:30 with cloudbase at 2500′. It did rise during the day to finally get to the expected height but it was a slow job. None the less we had good lift from early on, easily getting to cloudbase. Everyone flew although it was very late before the last on the list got their airtime. It was good to see 5 privateers out who all had good flights (eventually). We flew until 5-45 when we saw the best of the day, high clouds and warm sun, ah well better late than never. So our Doughnuts days are over until September, many thanks to everyone who helped make them so good. Winch drivers, retrieve drivers, manning the launch point in bitterly cold easterlies (grief, we had more than our fair share of those), control and of course Allan (and his little band of helpers). Thanks to you all, like links in a chain, on their own quite small but without you the bike goes nowhere. Safe landings……………46 (this one is for Steve B’s peace of mind). Total Flight time………..29hr..42min. Told you it was good ! Longest Flight……………4hr. 12min on task. Well done to Mike C. in his LS8. Loads of other really good flights. Average Flight Time…….38min. Would have been much longer but Nick seemed to have trouble getting to the top of the Launch. And finally thanks to everyone for not giving me too much of a hard time when I got it wrong weatherwise. Have a great summer, safe flying, Steve P.
This entry was posted in Flying reports and tagged cross country, gliding, soaring, summer by Steve P. Bookmark the permalink.